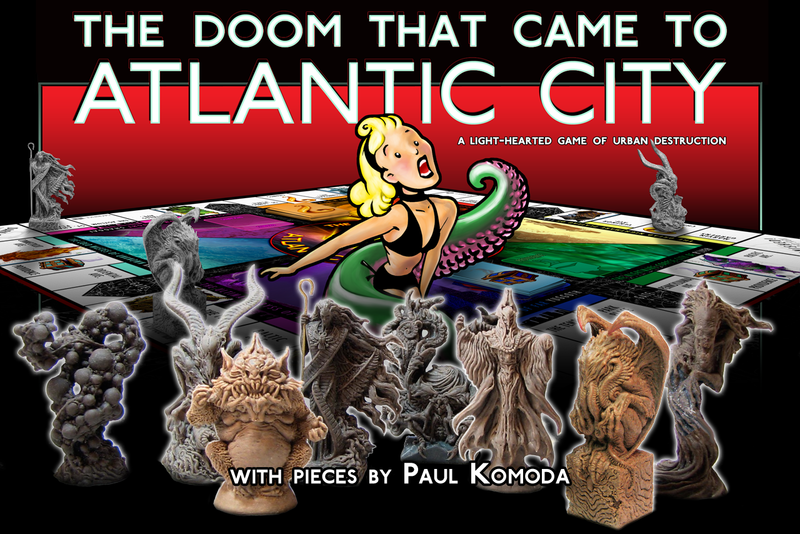 The Doom That Came to Atlantic City has had quite a rocky road. There was a successful Kickstarter for the game and then... stuff just sorta went pear-shaped. Time went by and backers didn't get their game. Artists did work for the game, but never got paid. Backers got restless, thinking they may never see their game. Eventually, Cryptozoic stepped in and created the game and sent it out to backers of the project. However, The Forking Path, the original company that created the game was investigated by the FTC about what happened to the funds that were raised during the Kickstarter campaign. A settlement has now been reached in that investigation. In the settlement, Erik Chevalier, the creator of The Forked Path, is prohibited from making misrepresentations about crowdfunding campaigns and failing to honor refund policies in the future. There is also a cash judgement of $111,793.71 levied against Chevalier. However, that part of the settlement is currently suspended, since records show that Chevalier has no ability to pay it right now. However, if it turns out that it can be paid back, then it will once again become due. A particular note is that there was no admittance of guilt anywhere in the settlement for The Forked Path or Erik Chevalier, specifically. So now we have a full case brought against and settled for a company that has failed to fulfill a Kickstarter campaign. This will be an interesting precedent for any other companies that have outstanding Kickstarter campaigns that don't look like they will actually send out their promised product.